BALTIMORE – Oct. 5, 2018 – Northrop Grumman Corporation (NYSE: NOC) welcomed 31 students from Mergenthaler Vocational Technical High School, Baltimore Leadership School for Young Women and North County High School to its BWI campus on Monday to celebrate Manufacturing Day. Northrop Grumman employees and science, technology, engineering, and mathematics (STEM) students from Mergenthaler Vocational Technical High School (Baltimore City), Baltimore Leadership School for Young Women (Baltimore City), and North County High School (Anne Arundel County) teamed-up at Northrop Grumman’s BWI campus to celebrate Manufacturing Day on Monday, Oct. 1. Led by Northrop Grumman employees, students created Rube Goldberg machines designed to flip a light switch using household items. 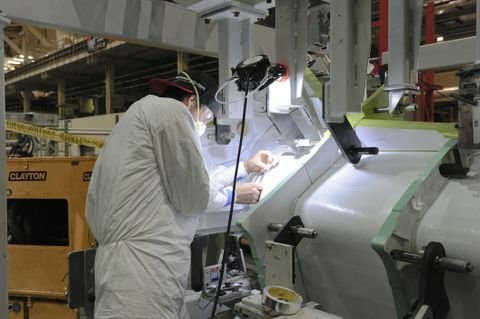 Manufacturing Day is a nationwide event designed to inspire the next generation of manufacturers. 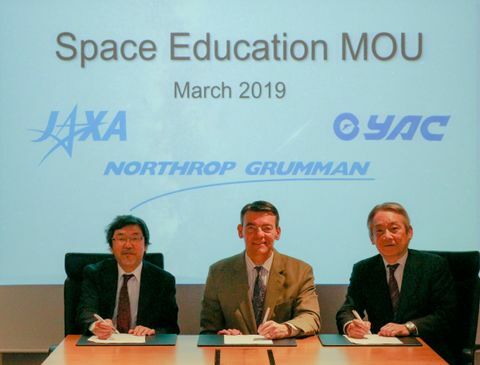 Through partnerships with Baltimore-area schools, Northrop Grumman continues to further science, technology, engineering and math (STEM) education and encourage students to consider careers as manufacturing assemblers, technicians and engineers. 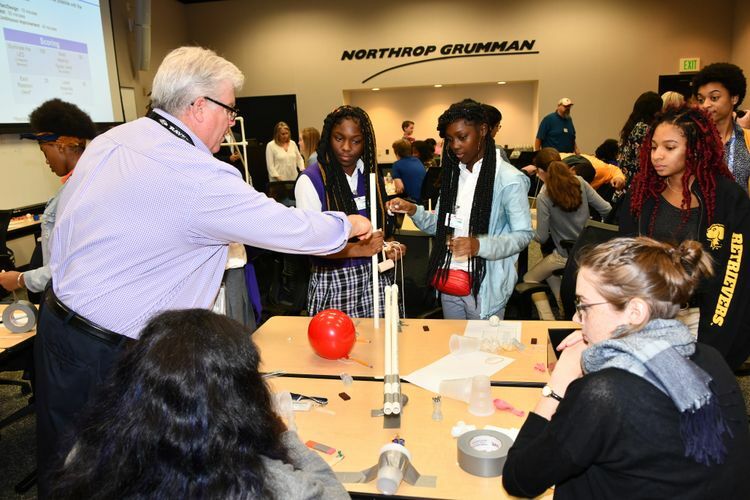 Led by Northrop Grumman engineers, students created Rube Goldberg machines, devices designed to highlight a series of reactions that result in the completion of a simple task in a complicated fashion. Students were given a kit of materials including PVC piping, duct tape, dominos, marbles and magnets and were challenged to create a solution to flip a light switch and illuminate a light emitting diode (LED) light. To view more pictures from Manufacturing Day 2018, click here.